Hi friends, welcome back to another Monday and another organized week! So happy you are all here! Last week there was a lot of interest in the Mini Pot Pie recipe I had on my menu. I was excited to give it a whirl but was only moderately excited about the end result unfortunately. There are many variations you could use for this recipe and I decided to go with a chicken/pea combination. In order to speed things up I used a rotisserie chicken which was great but the peas not so much. I also found it be pretty bland. So I think I just need to play with the ingredients a little bit to spice things up next time and it would be better. Anybody else give this recipe a try? What combination did you use? The dish my entire family really enjoyed last week was the Pizza Casserole. My daughter made it for us and it was yummy, she did a great job! So I have a question for you gals today. What is one thing you do to ensure menu planning success week after week? The mini pot pies look so cool! Definitely an idea for our family. Thanks for hosting this each week! I like the idea of the mini pot pies, looking forward to your recipe improvement. The only way I’m successful planning is if I look at the family calendar before I start planning. Then I know which nights someones not home, when we need a quick dinner, etc…. 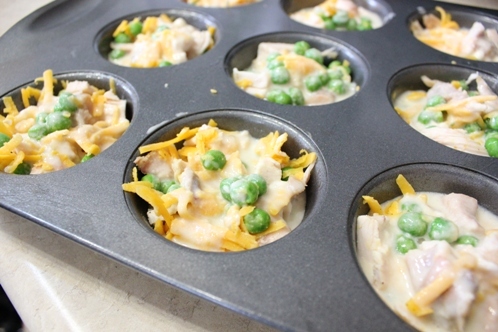 I haven’t tried the muffin tin recipes — I frankly hate cleaning muffin tins, so that sheer dislike of mine has kept me from making them 🙂 They do look tasty though – I’d choose broccoli along with the chicken for a second go-around. We’re hit and miss like most people, but by keeping a stocked pantry/freezer/fridge, and buying whenever possible at the lowest price I think we can do a pretty good variety, with prices we can afford (almost) and then when things are in season we are able to incorporate those into our menus a lot more than if I had to buy everything I needed for each meal. I try to think about our schedules, the types of food that we like to eat during the season it is (very little heavy meals in the summer, etc) and have a bunch of go-to’s for when whatever reason I need something really fast & easy instead of the planned meals or we eat out way too much. First Time Posting to this group, Thanks for the great Ideas and Suport. #77 on link list! Too bad about the bland pot pies. It’s a cute idea! We ensure menu planning success by having a rythym to our meals. I have a lot of simple, frugal, healthy staples our family really enjoys, and I make only 1-2 new meals each week to keep things fresh. Thanks for the question! I think for my menu planning success, I make sure it’s meals that I have most of the staples for and I also make sure to take the time to plan it before my shopping day. I also consider that by the end of the week I’m more tired so I need easy meals and plan my complex meals early in the week. Thanks for the review of the mini pot pies. Thanks for hosting. My number one tip about successful meal planning is to be realistic. Plan for busy days, and don’t try to fit in all new recipes, or a bunch of fancy meals. Know what is going to work for your family’s tastes and time constraints. Because more than likely if it’s too much, then you’ll give up. I’m actually working on a post full of meal planning tips that I personally use and could recommend. Yay! I’m so glad you all enjoyed the pizza casserole! 🙂 How neat that your daughter made it! How old is she? One thing that I always have to remember when menu planning is to be flexible. Just because we say “Pizza Night” is Friday, the world is not going to crash down if something comes up. I also agree with Steph @ The Cheapskate Cook (comment #7) that adding in new dishes or new twists on a standby keep things fresh, but any more than a couple each week would be too complicated. Sorry your mini pot pies didn’t turn out. I had a new recipe last week that we weren’t fond of either. I hate it when that happens!! Have a great week and thanks for hosting! I was going to say keep meals simple, but then I thought about what really makes menu planning successful for me: I plan each week with what I already have in the house- that’s the key to keeping the food budget down and reducing waste. So each week I’m shopping for staples and the sales that will be fore the following week. yes! I agree! I need to do this more and I’m always harassing my mom to do the same because her pantry and freezer are overflowing! I’m successful if I write out a monthly menu at the beginning of the month, and then review and tweak each week. I also make time during the week for different types of batch cooking to ensure I have what I need to make the meals. Thanks again for hosting – I am going to try that pizza casserole next week! 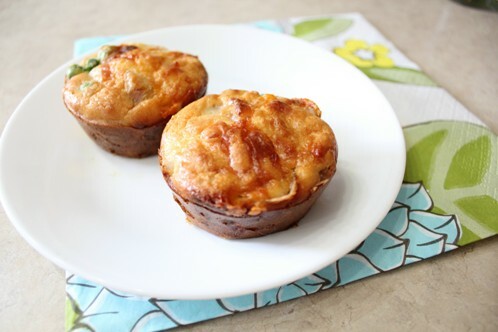 I’v been doing pizza mini muffins and bacon cheddar minis along with omelet muffins for my college daughter to survive dorm life on a gluten-free diet and I was hoping the mini pot pies would be a success. Definitely worth some experimentation for us, though, to get a meal in a nice freezable small package. I have not tried that recipe…but I did make macaroni and cheese cups over the weekend and they were a HUGE hit. Super easy to make. I love pizza casserole. Again another great recipe that freezes perfectly. I make sure that before I take the trip to the store I have both the menu plan AND a shopping list!! That way, I am able to post the plan on the fridge and I actually buy the groceries needed for those recipes! It also means I don’t have to go back and get the stuff I “forgot” and I actually SAVE money because I am not picking up expensive extras! This is where Menu Plan Monday has SAVED me! I come every week for ideas from Orgjunkie and everyone’s blogs and I am able to put together very “tasty” and wholesome menus. Even my teens appreciate the food! Yes, sometimes I can go “winging it”, but the food is just better when I have a PLAN!!!! Sometimes this process can take an hour…BUT it is ALL worth it! 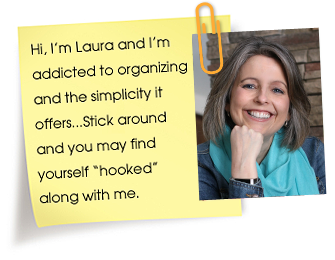 Thanks, Laura for the Menu Plan Monday !!! My family LOVED the Pizza Casserole! I have four children and all requested that it be kept on rotation! Gotta love a meal that pleases everyone. Plus, I think you can change this one around to suit your tastes. I don’t like pepperoni, so we used sausage, peppers and onions all mixed together. Delish! I think the key to menu planning for me is making it easy. I keep links to favorite and “want to try” recipes in an excel file that is organized like a cookbook (breakfasts, lunches, dinner entrees- pork, dinner entrees- poultry, desserts, soups, etc.) and I use another file to make the menu including breakfasts and lunches (both hubs and I work from home so that I really need to plan on having lunches here at the house.) When I sit down to make my menu, I just carry over any meals that didn’t get used the week before (since the groceries are already bought) and then fill in the blanks. First time poster for MPM – thanks for hosting! Key to menu planning – taking enough time to plan quality meals. I can whip up a week of meals in no time, but I’m pretty sure my family doesn’t want to eat pasta for 7 nights straight. 😉 By taking my time to plan meals with good taste & flavor, variety and what they like to eat, I’m much more likely to have clean plates each night. Success in menu planning only comes when the family actually eats the meals, so I make what I believe is a varied menu filled with things they like. I think I might make a Breakfast Casserole for dinner this week. It’s going to be warming up in Vegas! I listed dinners as well as lunches this week… We are participating in the Live Below the Line challenge and I put a little bit of a spin on it… My goal is to not go grocery shopping this week and use up what we have. Meal planning got easier for me once I started doing it on google calendar. I set meals to repeat, so there are always ideas on there, and I paste in links or entire recipes when I find one I want to try. I also often use this as a starting point: pasta on Monday, soup on Tuesday, grain/meat/veggie Wednesday, suer easy/from the freezer or leftovers/big salad Thursday, fri or sat takeout, ideally my husband is responsible for Sunday. These mini pot pies look so good! 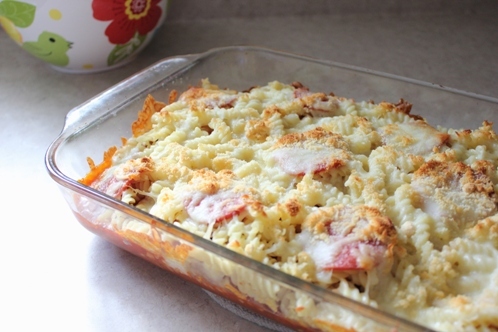 That Pizza Casserole looks pretty darn tasty! I’m going to have to give that one a try. Hope everyone has a great day, and a wonderful week! Pizza Casserole mini pies looks very nice.